Prevent Infections and Misalignment with Wisdom Teeth Extractions! In the past, wisdom teeth were meant to replace lost molars as a result of eating incredibly tough foods in the wild. Thanks to improved oral care habits and tools as well as increased access to professional dental care, these teeth, also known as third molars, are no longer needed by most individuals. However, that doesn’t stop them from erupting and damaging your healthy teeth. By scheduling a visit with our dentists, you can prevent harmful repercussions caused by wisdom teeth. Contact our office to get started! Do Your Wisdom Teeth Need Removal? Wisdom teeth often only partially erupt because there is not enough room to accommodate the entire tooth. This creates additional space for bacteria to enter around the tooth, increasing the risk of an oral infection. This generally results in pain, swelling, fever, and jaw stiffness. Wisdom teeth can easily rub up against neighboring teeth and damage their enamel in the process. It can also cause other teeth to shift out of place, making your smile and bite uneven. Cysts can easily develop inside surrounding oral structures, resulting in damage to tooth roots or bone tissue holding teeth in place. 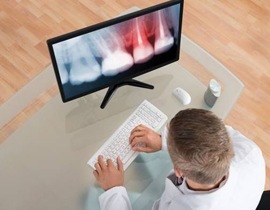 With the help of Dr. Tim Adams and Dr. Christopher Hock, who are our resident endodontist and oral surgeon respectively, you can expect only the best care possible when it comes to your wisdom tooth extraction. If your wisdom teeth ever become an issue, we’ll schedule you for treatment. During your appointment, we’ll numb the tooth and surrounding tissue in order to make your treatment as comfortable as possible. If you feel like you need additional accommodations for your treatment, our office also provides multiple forms of sedation dentistry. Once you’re completely comfortable, we’ll locate the tooth in question and gently remove it from the periodontal ligament holding it in place. Finally, we’ll remove the tooth using a pair of dental forceps and close the gum tissue for healing. 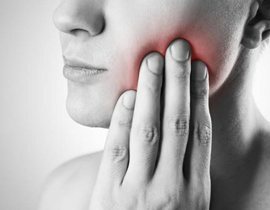 Most wisdom teeth extractions can be performed in a single visit, however this can vary depending on the complexity of your case.